Crafts are a great way to keep children entertained in the colder, winter season months and especially if they are stuck indoors a lot more. There are some really fun and creative activities that children can do which will help to keep them occupied and entertained in the run up to Halloween. At this time of year, kids can get easily stuck into helping to decorate the home with spooky creations and things they've made too. We enjoy making paper chains, fans and spider webs from paper which are easy to do. 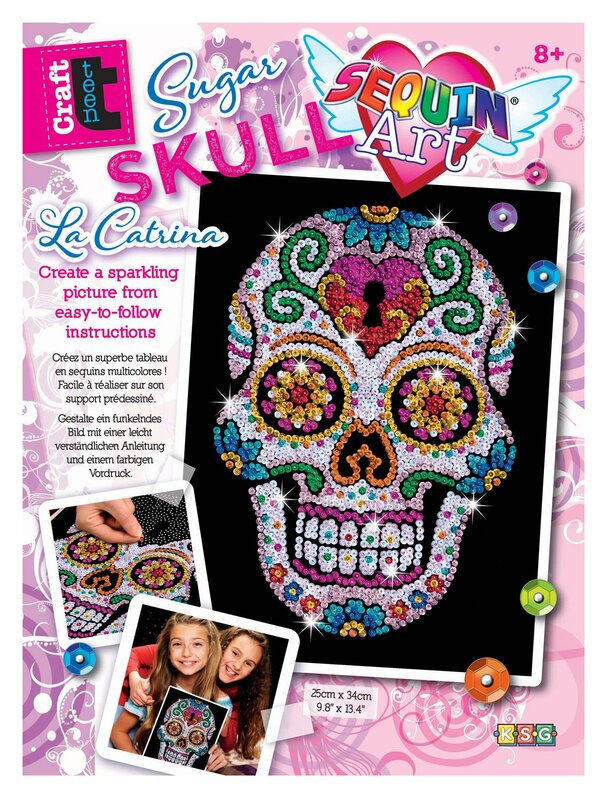 Here's some fun kits that could make a great choice of gift for children who really love being creative. In the run up to Fall season events like Halloween, kids can get quite hyper and also a bit bored. 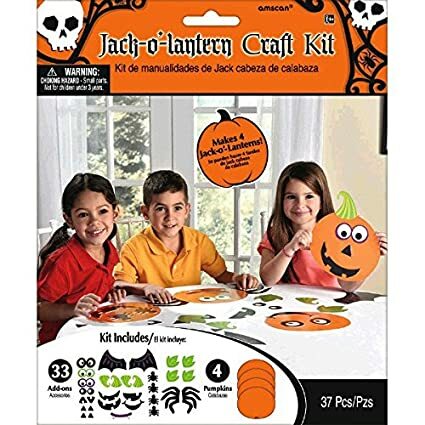 If they are stuck indoors more as the weather cools down, it will be good to get them to focus on some Halloween craft kits to hold their attention. Here's some of what's on offer. Shrinky Dinks can be a lot of fun for older children (approx age 7+) who like to color in and create fun items with their creations at the same time. 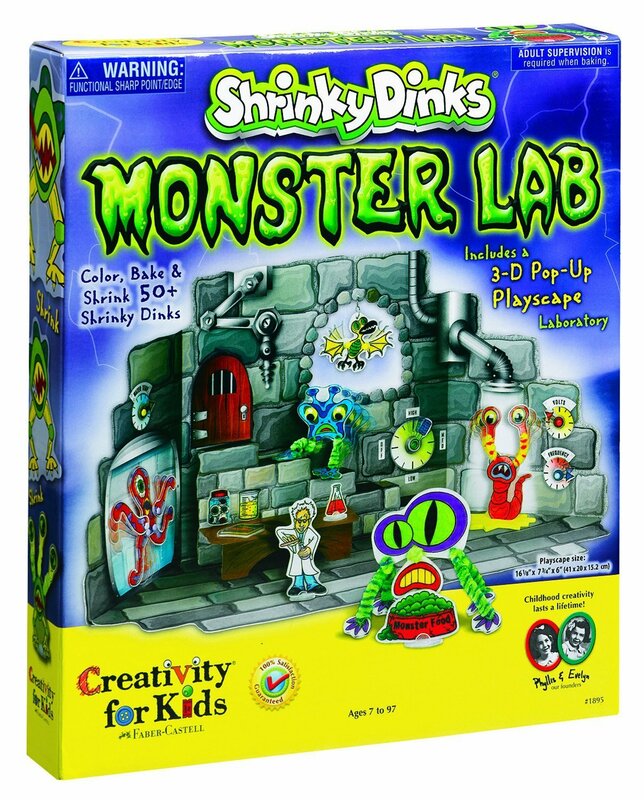 We've had Shrinky Dink jewelry before which is fun but I really loved the look of this detailed monster lab which is simply ideal I would think for the spooky upcoming Halloween season. 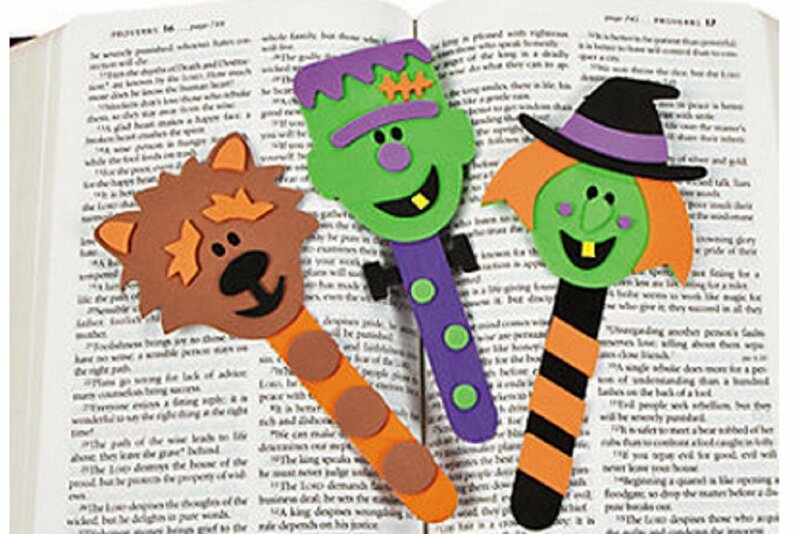 With this set, children can enjoy coloring in lots of different monsters which are then baked and shrinked in the oven by a responsible adult. 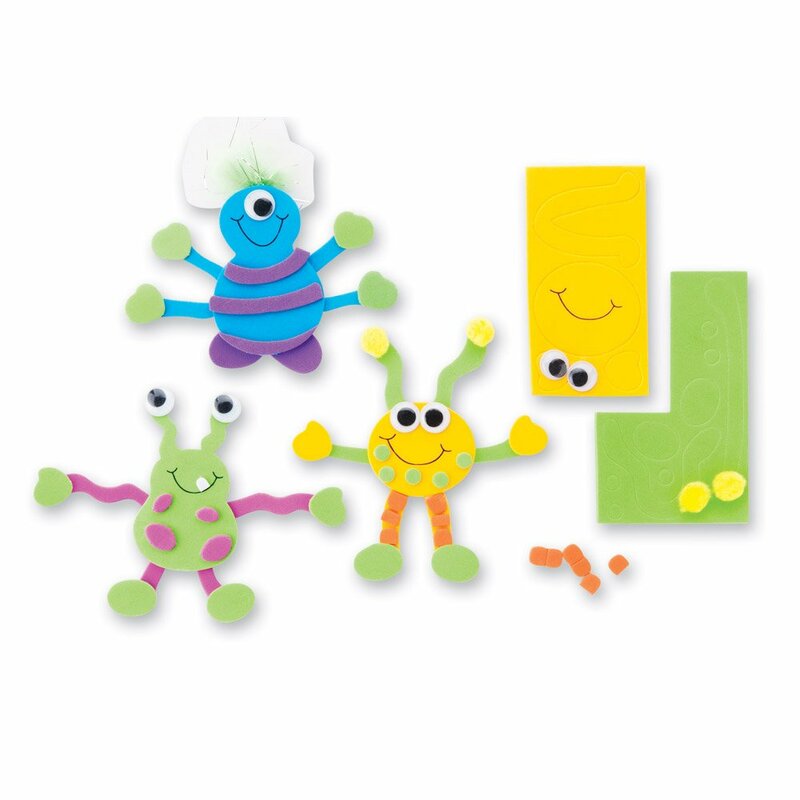 After that they can enjoy making the monsters 3D by adding on the supplied wiggly eyes and chenille stems to make wonderful creations. Everything can then be played with in the three dimensional pop up lab shown above. 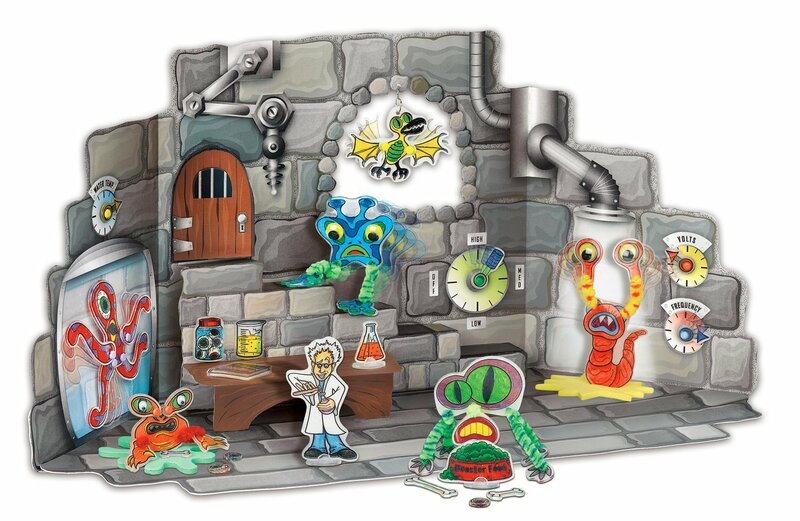 This is the really great play scene that comes in the monster labs kit. It could take hours to make and bake all the shrinky dink parts, assemble them into unique monster creations and then lots of extra fun can be had by playing with them in the pop up scenery. This should make a good family activity for a rainy weekend in the run up to October 31st. Or buy it as a Halloween gift instead. For children over 5, this could be a nice, easy and fun crafting activity. 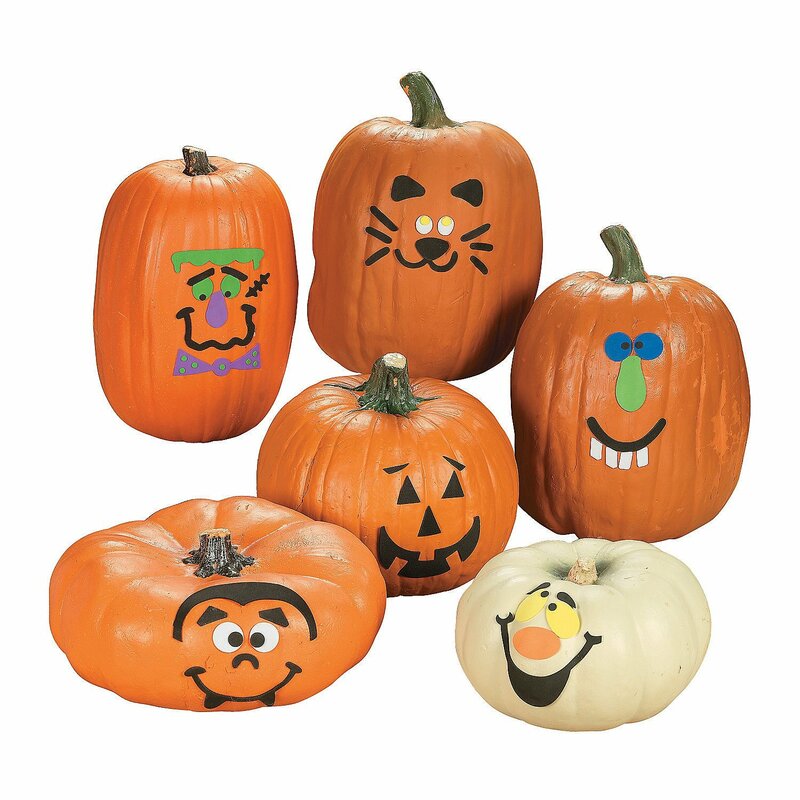 These self adhesive foam pieces make funny faces to decorate up to 12 different pumpkins with. If you don't have that many pumpkins then the face stickers can be stuck onto a sheet of paper or card instead and turned into a piece of easy to do wall art or hung up in the window of your home. 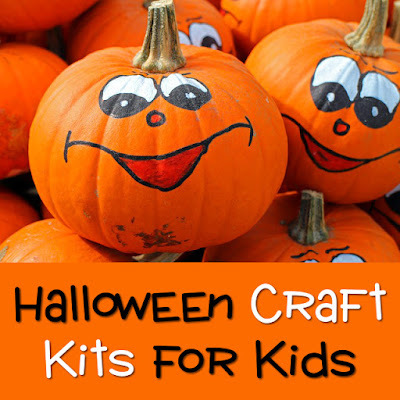 Pumpkin decorating could be especially good for the younger children because it is fairly simple to do and they can enjoy creating silly faces. As with any product that has small parts, just take care with supervision of the little ones. This set is also good for party crafts since small groups can take part in the decorating. It makes for an inexpensive and fun activity. What type of crafting activities do you like to do at this time of year? Let me know your thoughts on this in the comments section below.